Wouldn't it be nice to receive 5-star reviews? Of course it would be! We need excellent reviews to increase course rankings. I know it’s been a little while since I wrote you all but it’s been a very busy summer - and I just got married! Now, that that is done I can get back to providing you with what I know about online course creation. 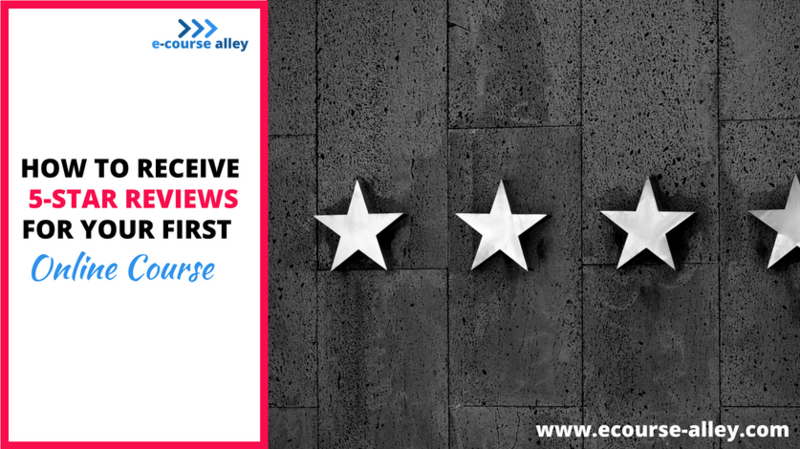 So, today’s post is all about how to receive 5-star reviews for your first online course! What I’m talking about is striving for the so-called 5-star reviews. I know it may not be possible to get a perfect 5-star review. But we want to strive for them and we hope to get at least a 4 or above. 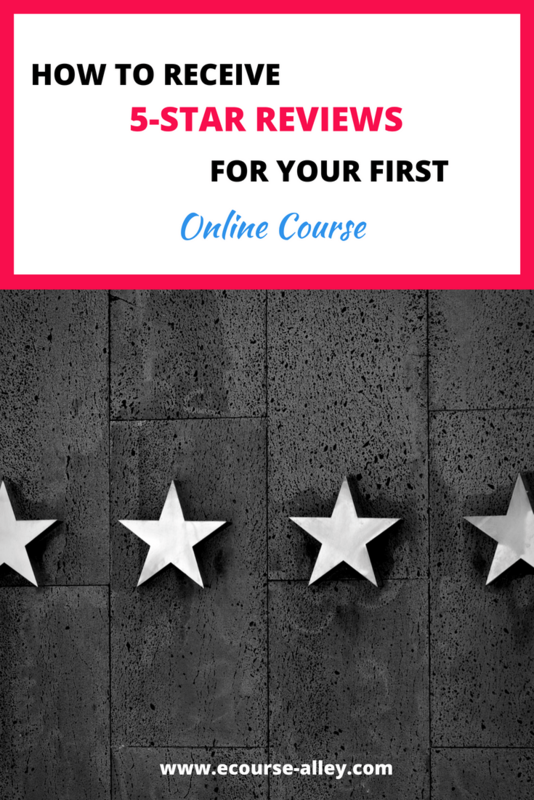 I hope the information I’m about to present to you will be helpful, not only to those of you who have finished creating your first online course and have gotten a few students, but for anyone on their first online course journey. This is because knowing now what will help get you a 4 or 5-star review to increase course rankings, helps you at every stage of the online course creation process. So, click play on the video below to learn why 4 and 5-star reviews are important. Then, I’ll go through the key strategies to use to get you those favorable reviews and increase course rankings. Leave a comment after the video and let me know what you thought! Well, I hope this how-to video on getting 5-star reviews for your first online course will help you achieve this result or at least get you closer to a perfect rating! I can’t of course guarantee it happening right away, as these things take time and perseverance. But, if you keep on working hard and continuously improving your content, the results will eventually follow! So here's to increasing course rankings!